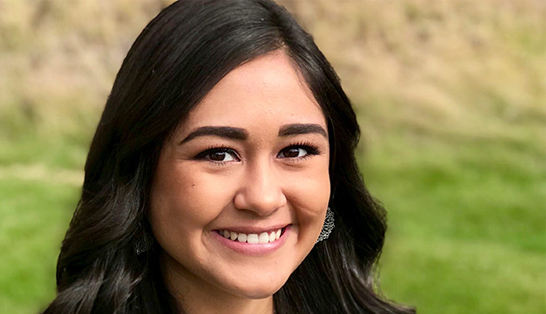 EVERETT, WA, Jan. 26th – WSU President Kirk Schulz recently announced that Murrow College student Jacqueline Quiroz has been selected to attend an exclusive event hosted by the American Advertising Association. AAF’s Most Promising Multicultural Student program (MPMS) was started in 1997 to honor the nation’s top students of diversity and give them a head start in networking and training for the advertising industry. The event will be held February 12th-15th in New York City. Ms. Quiroz will be representing WSU among other universities from around the nation whose students will receive honors at the Building Bridges for Our Future Awards Luncheon. Ms. Quiroz will also have the opportunity to rub elbows with representatives from high-profile companies at the MPMS Recruiters Expo. Past participants include PepsiCo, General Mills, Bloomberg, and Google. The agenda for the event will also include industry immersion workshops at major media and ad agencies, interview sessions, and a leadership panel hosted by Publicis Groupe. The final day of the event will conclude with the students attending a Broadway showing of “The Lion King”.